Supmas Sangchan's bogey-free round gave her the lead after the first day. Starting from the 10th tee, the 21-year- old Bangkok native came to life on the front nine after making the turn at one-under, reeling off four birdies in six holes to leave a strong field trailing in her wake. Noora Tamminen celebrated the centenary of Finland’s independence in style, producing the shot of the day when she aced the par-3, 11th to join fellow countrywoman Minea Blomqvist, also dressed in her national colours, and Nanna Koerstz Madsen of Denmark for a share of second one shot adrift. Dame Laura Davies mixed five birdies with two bogeys to move into a seven-way tie for seventh on three under as the 2009 Dubai Ladies Classic champion In-Kyung Kim settled for a one-over 73 on a day when 45 players broke par. “Played some good, solid golf. Going bogey-free always makes you feel good. Happy with the start. You need to putt well here, as the greens are pretty fast,” said Sangchan, who joined the Ladies European Tour after winning the 2016 Sanya Ladies Open in China. Denmark’s Nanna Koerstz Madsen fired six birdies against two bogeys to round off a good day at work. “I am very pleased with the round. I didn’t hit very close, but made some nice putts and didn’t make too many mistakes, so I’m very happy with the finish. “It’s a course where you can hit the driver pretty much everywhere, so if you can hit a good driver, then you are good to go. The greens are a bit tricky, not many slopes,” she added. Scotland’s MacDonald also sounded pleased with her day’s efforts, saying: “I made a couple of birdies in the first few holes which was nice. I have got one of my best friends on the bag and that made things more enjoyable. 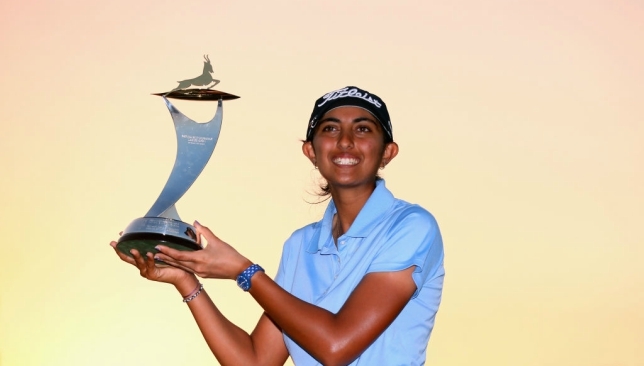 American Brittany Lincicome, making her debut in Dubai, carded a one-under 71 to sit six shots off the pace along with India’s Aditi Ashok and China’s Muni He, who has just turned professional. 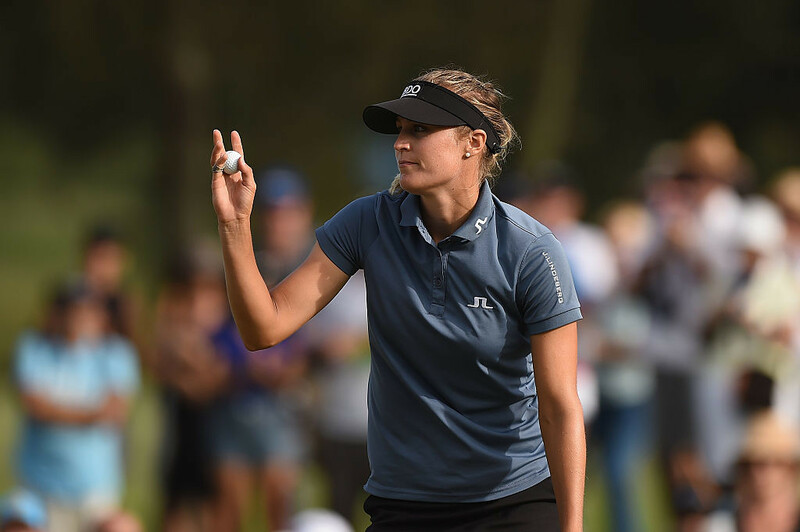 Among the notables, the English duo Charley Hull and Georgia Hall shot matching two-under 70s for a share of 14th as Camille Chevalier, chasing the Rookie of the Year award, settled for a 75 that left her languishing at the bottom end of the leaderboard. “I kind of struggled on the back, but overall played okay. 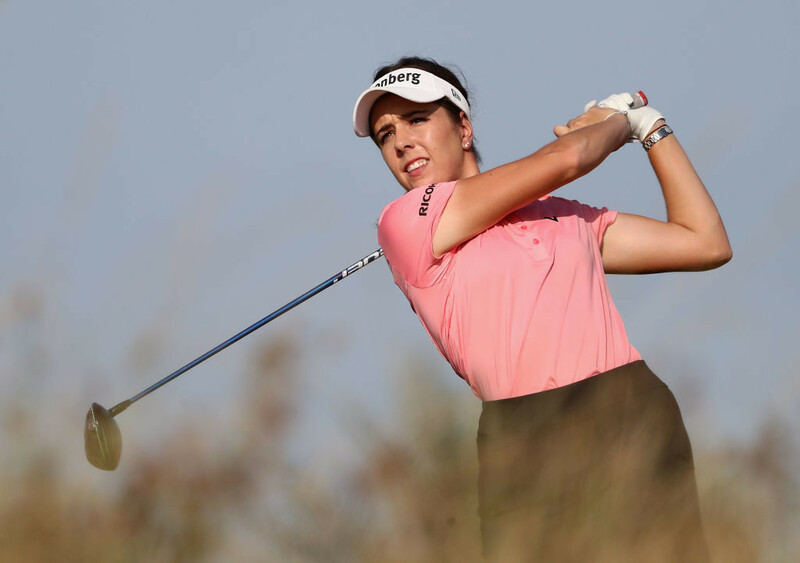 It was definitely windy the back nine, but I managed to hit some good shots which was good,” said Hall, who has already assured herself of the Ladies European Tour Order of Merit title. Suzann Pettersen returns to the Omega Dubai Ladies Classic early next month, hoping to crack the winner’s circle and end the year on a high note. 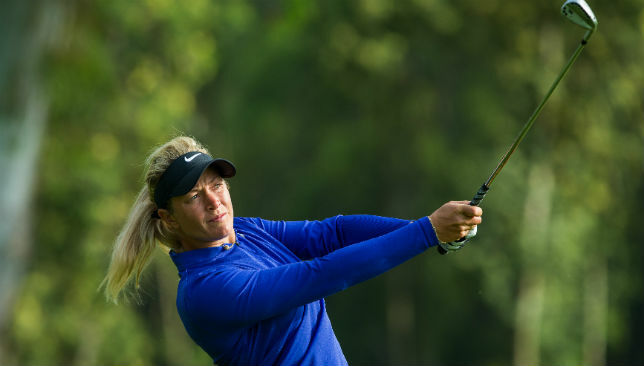 Some good vibes on her side, a two-time major winner, Pettersen racked up a creditable third at ANA Inspiration among her four top-10s on the LPGA Tour and a second at Ladies European Tour’s Lalla Meryem Cup, signaling her return to form. Currently ranked 30th in the world, the 36-year-old Oslo native will be looking to summon her top game and end a winless spell since the 2015 Manulife LPGA Classic when she joins the starting line-up at the Omega Dubai Ladies Classic to be held at Emirates Golf Club from December 6 to 9, seeking a revenge of sorts after finishing in a tie for 35th in her maiden appearance last year. At the CME Group Tour Championship: Pettersen.